Most of our members feel a difference in less than two weeks. Many of our members needing to lose weight start dropping their extra weight within their first month. Be consistent and you will see great results! Ever since I joined Crossfit Chattahoochee my life has changed drastically. When I first started I weighed 180 lbs. I did not eat healthy, I was tired all the time, and my confidence level was extremely low. I was always afraid to go to the gym because I thought people at gyms were judgmental and always staring at me. At CFC I was welcomed with open arms. I was motivated and pushed to be the best I could be not only by the coaches but also by the members of CFC. 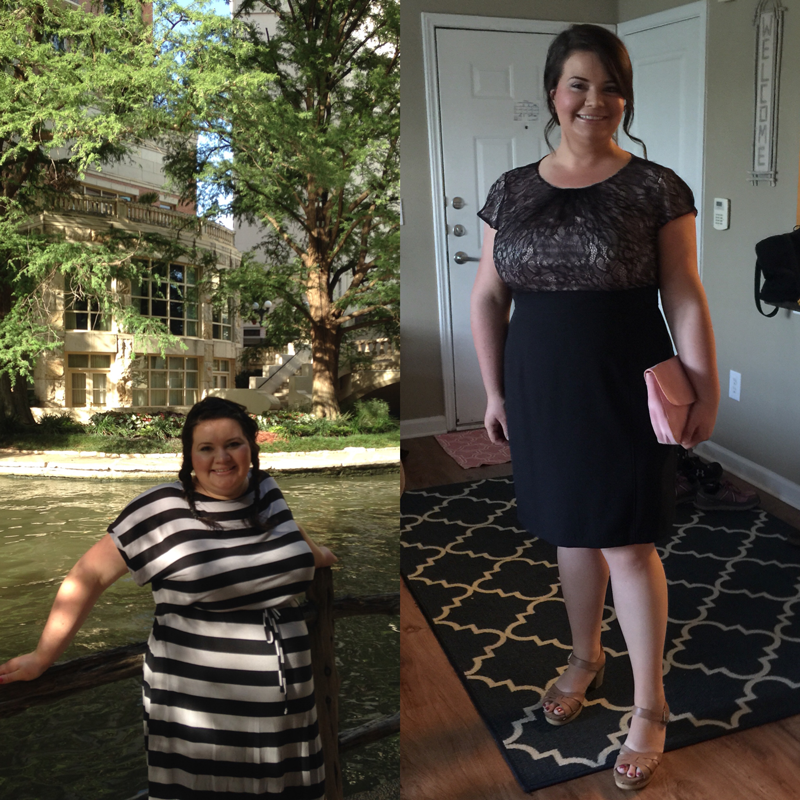 After training at CFC for almost two years now, I have lost a total of 45 lbs! The obvious can be stated, CFC WILL make you look and feel better; however, that is NOT the only gift CFC has given me. At CFC I have learned that it is not about how much weight you lose, but rather how much strength you gain over the years. I used to be obsessed with scales and now I no longer need one because CFC has ended my obsession with trying to be skinny and weigh a certain amount. I do not focus on the weight that is shown on the scale but rather the weight that is on the bar! Without my CrossFit Chattahoochee family, my accomplishments would not have been possible. 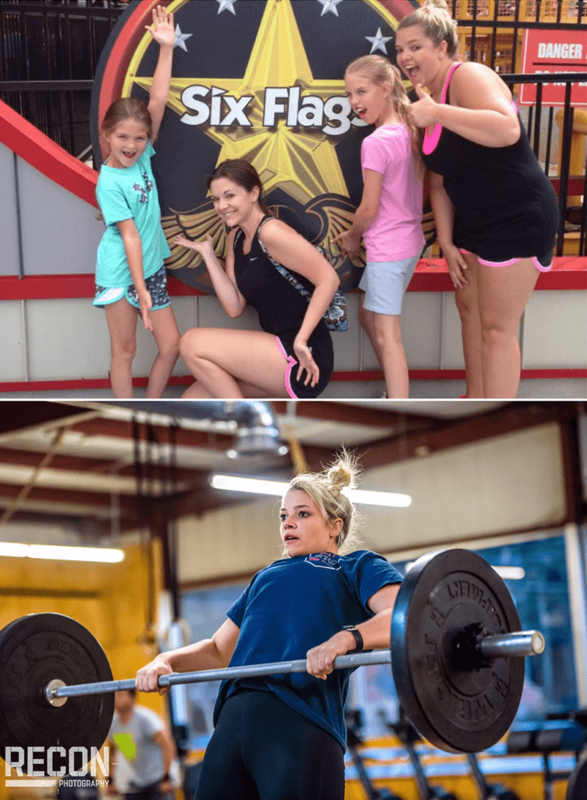 CrossFit Chattahoochee has changed my life, and it can change yours too! Alan P. started at the same time as his daughter, Hailey (above). Although we have yet been able to get him to put his story together in words, the results here speak for themselves! I’ve been a member at CrossFit Chattahoochee (CFC) since they opened the doors in 2014. I’m there a lot and it’s become my escape! My personal fitness and well-being are important to me. But this hasn’t always been the case! I was not an athlete as a kid or physically active as an adult. I worked behind a desk, got married, had two kids, enjoyed life and was oblivious to my physical fitness and diet. By the time I was in my early 40s, I was overweight, unfit and unhealthy, both physically and emotionally. I promised myself that tomorrowI would eat better or start exercising when the kids went back to school, etc. Fast forward to many tomorrows later… A friend convinced me to go with her to the gym. Ugh! I hadn’t been to a gym since big hair, step aerobics and leg warmers were trendy! I was intimidated, overwhelmed and had little confidence it would work and even less in myself. Despite sore muscles and a bruised ego, I continued to go, listen, learn and do the workouts. After a few months, I was able to squat without assistance and run without becoming dizzy. Even so, that pesky trainer guy kept raising the bar! I pushed harder but emotionally, I was still uncommitted. But then, a couple of things happened. While bending to make my bed one day I realized that I didn’t feel the chronic low back pain that had plagued me for years. In addition, I hadn’t experienced the acute spasms that would “throw my back out” in quite a while. WOW! The second “AHA” came when I became intrigued with Olympic lifting. These lifts are complicated but I felt like a super bada** working on them. It didn’t matter that I was using a skill bar and little weight, I began to feel powerful! I’ve learned a lot since I joined and perform some movements really well (I’m past just the bar!) and still others, not at all. This isn’t a problem at CFC. When I can’t perform a movement as prescribed the coach will modify (scale) the workout. This allows me to do the WOD, make improvements and get stronger every week. Either way, I’m squatting, jumping, pulling, pressing, running, lifting and moving in ways that make sense to me. I no longer have issues with low back pain, I’ve lost 30 pounds, gained a few in muscle mass and have reversed the osteopenia that had started in my hips and spine. I am confident, strong, and in the best physical shape of my life! Come check us out! 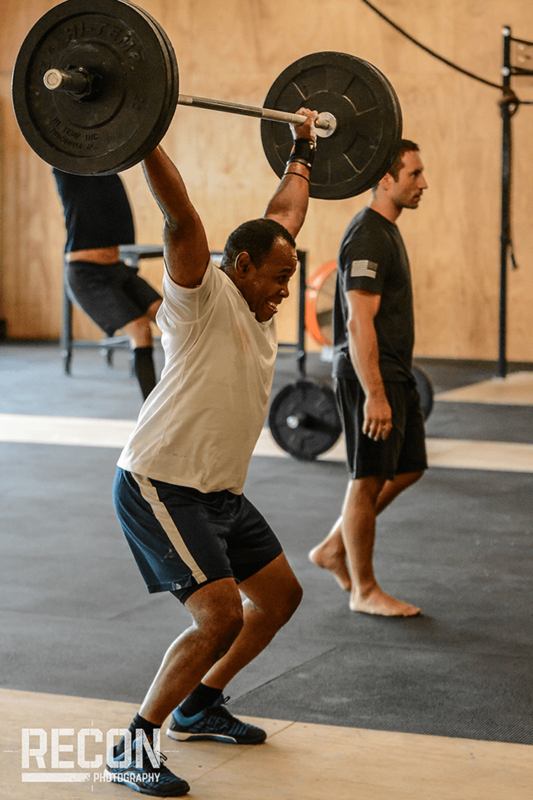 I joined CrossFit Chattahoochee one month after they opened in April 2014. I was recovering from neck surgery from a car accident where I broke my neck & had to have my cervical vertebrae & inter vertebral disc repair. I simply joined & I was committed. I was 50 and I wanted to be in the best shape of my life, period. I did not want age to be a factor or a crutch for me. I worked with Steve on my mobility weekly for a few months. When I became more mobile I started doing the regular sessions. I am always working on the various techniques in the class and I follow the coaches’ guidance to the best of my ability. To all those 20 somethings through 60 somethings out there, there is a world out there waiting for you to be fit. With Steve, I never got injured, he is truly the best at what he does. My neurosurgeon is so pleased that I was able to resume my athletic life. Due to my CrossFit training I am able to remain strong & fit and even play soccer weekly. CrossFit Chattahoochee rocks! And if you have any doubt about my testimonial, come see us at CrossFit Chattahoochee and come thrive with us. Walking into CFC (Crossfit Chattahoochee) for the first time for me was terrifying, I mean chew on my shirt and run away. But taking those first steps inside was the best decision I could have made. I know from the outside looking in you see all these fit people and you feel so out of place but trust me when I say, everyone wants the best for you all the time. From the coaches to the members, we pick each other up and strive to help each other get better. This is not just a gym, it is a place that has helped me celebrate the good (losing over 100 pounds or being able to run that mile), deal with the negative (not hitting that weight that I wanted in the WOD or missing the goal number on the scale) and embrace the changes I have made big or small. CFC is my family, we are crazy into fitness but we love to see each other enjoying life as well. I love that I belong to a place that ultimately wants me to be happy and healthy. The best thing I can say is take those first step, join in, and let us support you in your journey. It is very common for new crossfitters who commit themselves to a new diet and exercise regimen to see significant improvements in their health and fitness. What is less common and a greater challenge for both athletes and coaches is to affect continued growth after several years. So it was for me. I saw most of my growth within the first 1-2 years. Then I mostly plateaued for 3 or 4 years. Until I joined Crossfit Chattahoochee. I asked Steven Lewter for suggestions on things I could try to see new results. He gave me a squat routine he had designed. I replaced two of my weekly strength routines with his squat workouts and otherwise continued as normal, for a total of 3 days a week. Four weeks later, I PR’d my front squat at 295, 40 lbs heavier than my lifetime PR from 6 years prior. This was not the only example. I found I was able to do WODs from previous gyms faster and with heavier weight. And this was at the age of 42. 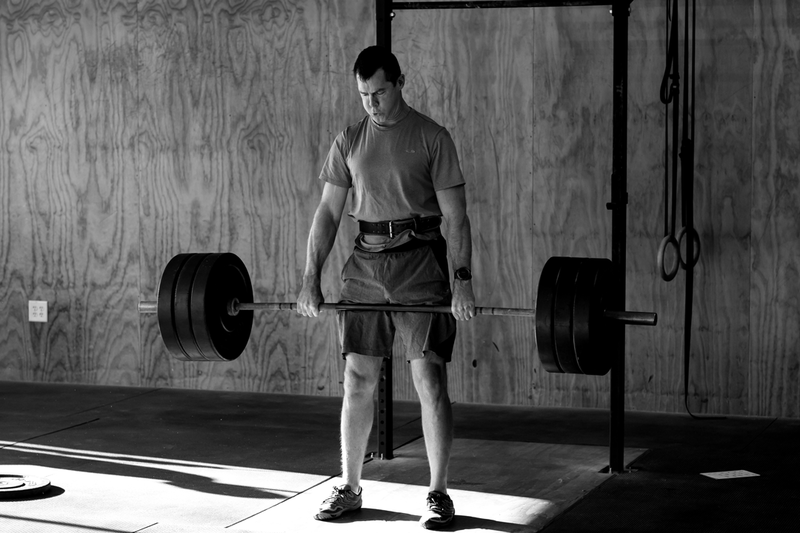 Steven is an excellent and very technical source of fitness and strength knowledge. As an athletic man in his 40s, it is important to me to have a fitness routine that supports my overall very active lifestyle, provides not just good but excellent results with limited gym time, and minimizes the chance of injury. I have very much appreciated Steven’s depth of knowledge and eagerness to absorb and train himself and his gym on new methodologies (including Strong First and other weight routines by Pavel). I had a very difficult travel schedule while at his gym and frequently needed to modify workouts or change them entirely based on where I knew my fitness level was and Steven was always supportive, providing customized on the spot WODs that were right at the level of effort I could manage. 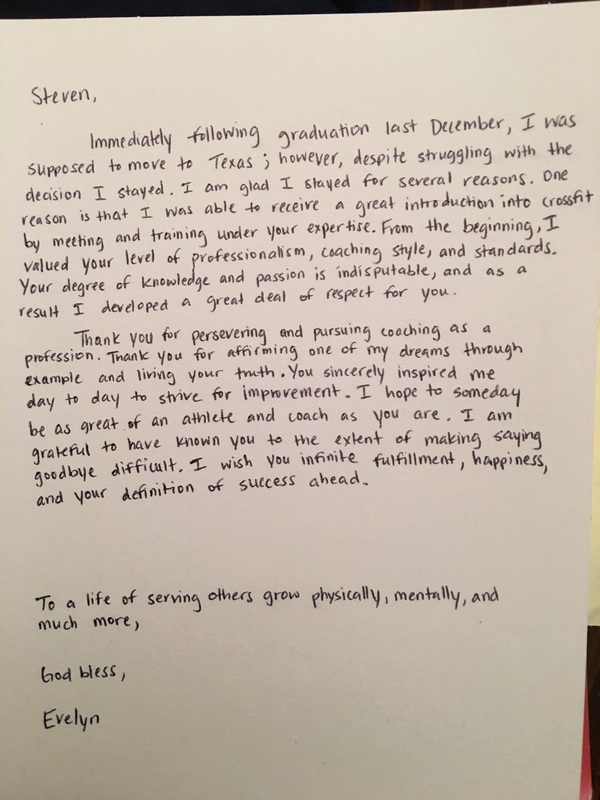 I am very grateful for my time and Crossfit Chattahoochee and would strongly recommend his gym not only to new comers but also to athletes who have plateaued and are looking to see further growth. On top of all this, the people there are really friendly, which makes the whole experience much more fun. Nice work! Before I found CFC I went through a tough year where I was depressed and gained a lot of weight and was just generally unhappy. 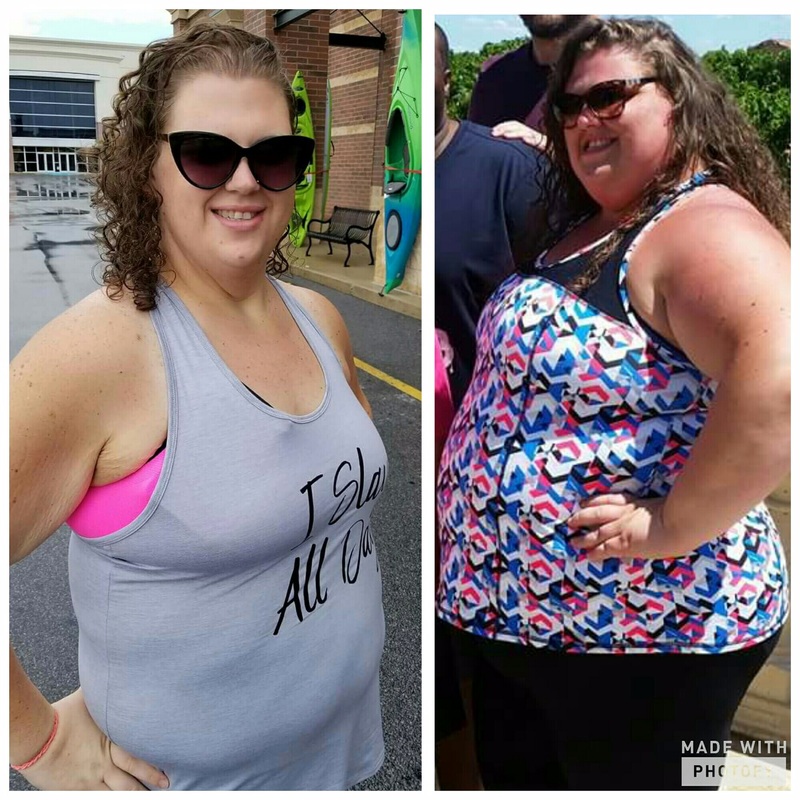 I joined the gym with the goal of losing the weight, but what I found was an amazing community of people of different ages and walks of life that support and encourage you to push yourself in every workout. What I love about CrossFit is that you never get bored, every day is different and your body stays challenged. When you’re lying in a pool of sweat on the floor absolutely exhausted and you look at the person beside you who’s been doing this for years and is equally sweaty and exhausted you feel so accomplished and that does wonders for your self esteem! As cliche as this sounds I don’t know where I’d be if I hadn’t made the life changing decision to join CFC. I absolutely love the workouts, the coaches, and the community. Shout out to coach Lisa for being tough on me and pushing me out of my comfort zone! I’ve lost over 65lbs (and gained some nice muscles) and I feel so much healthier, happier, and confident. I came to Crossfit Chattahoochee knowing that I wanted to change my life, but really having no idea how to start. 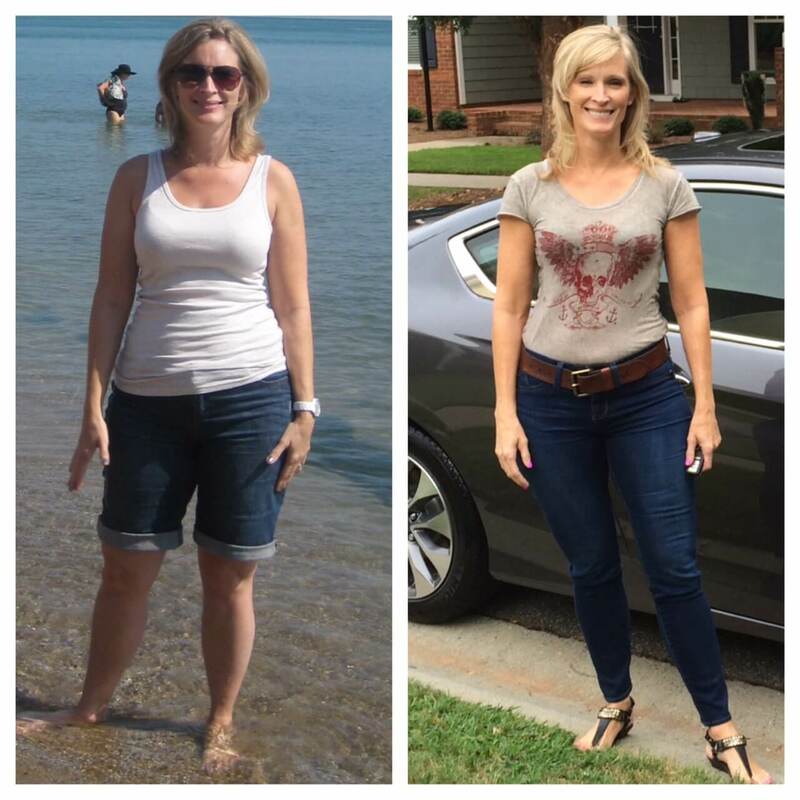 I was experiencing health issues, including weight gain that had spiraled out of control, two miscarriages, hormonal imbalances, and insulin resistance. My previous attempts at losing weight and exercising were unsuccessful, but I knew I had to do something, or my health would continue to suffer. I didn’t really know much about what went on at Crossfit, only that it was some super crazy radical form of exercise. I knew I needed the mental challenge that I hoped Crossfit would offer, because my half-hearted attempts of getting on the elliptical for thirty minutes once a week weren’t working. I remember at my introductory workout Steven asked me why I wanted to do Crossfit. At the time, I told him it was because I heard all of these wonderful things about the community of people at Crossfit. That was part of it, but the bigger motivation was that I felt like my body had betrayed me, and I didn’t know where else to turn. 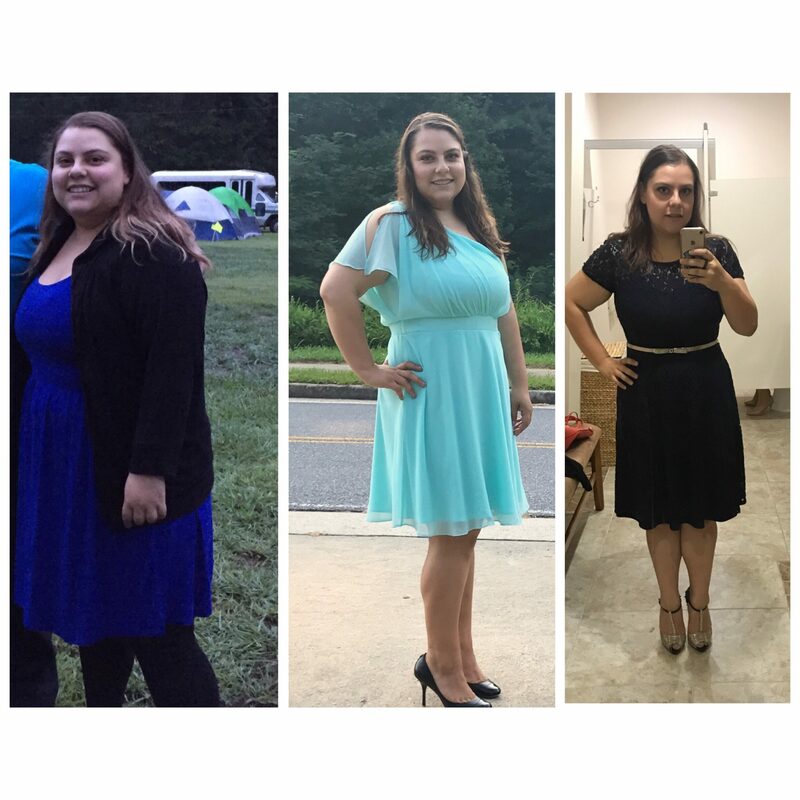 The coaches and other members at CFC came alongside me so graciously and patiently, encouraging and celebrating with me the small victories and progress I began seeing in just a few short months. I will never forget doing a workout one night that included running, and having tears streaming down my face because I never dreamed that this body of mine was so capable of doing the things it was doing. I also never imagined I would become so enamored with working out that instead of dreading going to the gym, it was what I looked forward to at the end of each work day. Even better, eventually, after hearing my incessant Crossfit talk, I finally succeeded in convincing my husband to join, and he has fallen just as hard as I have. About a year after joining CFC, I had a goal of running a 5k without stopping, which I did with the support of some of the other girls at the gym. It was incredible to me that I had previously never been able to run a mile without stopping, and now I was running three of them all at once! Then, about six months later, I decided I wanted to do this crazy-sounding trail race called Ragnar, with a total distance of fifteen miles, broken up into five mile sections. I knew I needed help training for this one, because not only did I not want to get injured while training, I specifically did not want to lose strength on my backsquat and deadlift. I talked to Steven about my goals, and he wrote a program for me with those goals in mind. 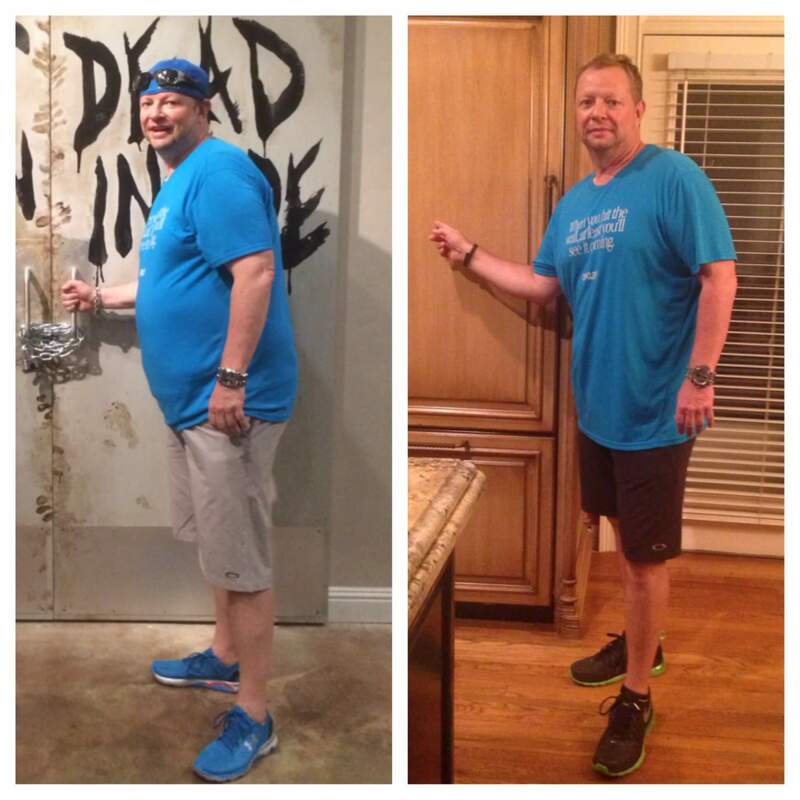 I was incredibly amazed at the milestones I experienced during the ten-week program he tailored for me. His predictions of where I should be in terms of conditioning and strength at each point were astonishingly accurate and precise, right down to the exact nine-minute mile I was able to run at the very end. I completed Ragnar successfully and without injury. Even more amazing, not only did I not lose any of my strength on my backsquat and deadlift, I experienced gains of twenty pounds on each lift by the end of the ten-week period. I cannot say enough how thankful I am to Steven for constantly checking in with me, evaluating/reevaluating throughout the program to ensure I was progressing as expected, and equipping me to reach this crazy goal. I am so grateful that I did make that decision to turn to Crossfit, and join Crossfit Chattahoochee. It has been an incredible journey that I wouldn’t trade for anything. Not only have I been warmly welcomed into a beautiful community of people who have become my family, I am no longer experiencing hormonal issues and insulin resistance. I have lost forty pounds in about a year and a half, and learned so much about fueling myself to be able to perform the way I want to perform. Instead of being angry at my body for failing me, I now realize how truly strong I am, and what a gift this body is that I have been given.